Abandoned by his mother when he was just nine years old, by the time Royston Vasey was nineteen he had been married, divorced, had two children, spent two years in Borstal and several months in prison, and had been shot at in the Merchant Navy. By the time he was thirty-five, he was one of Britain's most successful comics, playing live to half a million fans a year as Roy 'Chubby' Brown. In Common as Muck he tells his incredible story. Frank, funny and - perhaps unexpectedly - often moving, it is a tale of a man battling to escape his background and become a star. From his impossibly deprived childhood to his controversial comic persona to his more recent battle against throat cancer, Roy 'Chubby' Brown's life is as remarkable and fascinating as the man himself. 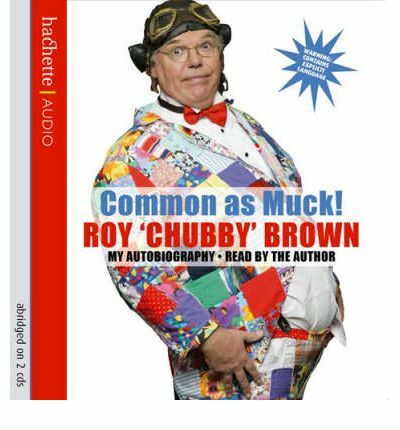 About the Author: Roy Chubby” Brown was born Royston Vasey, in Middlesbrough 1945. He is one of Britain's most successful and controversial entertainers.